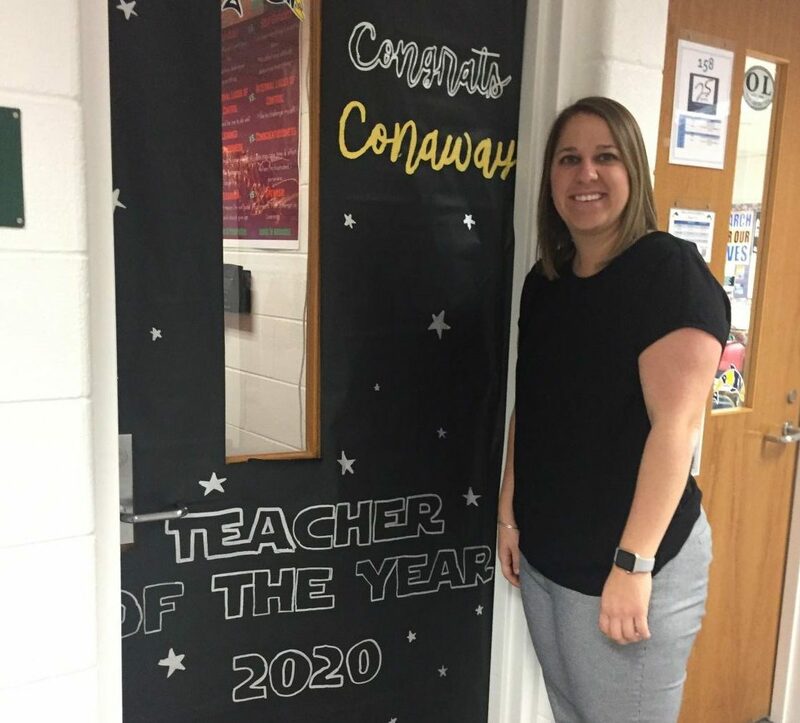 Teacher of the Year, Carlin Conaway, poses in front of her classroom door designed by SCA. AP Psychology teacher Carlin Conaway was named 2020 Teacher of the Year at the annual Distinguished Teacher Ceremony. Conaway was recognized for her friendly attitude and welcoming classroom environment. 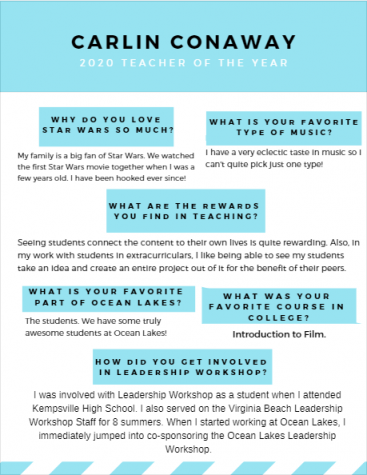 “James Comer sums up my philosophy of teaching well with this quote: ‘No significant learning occurs without a significant relationship.’ Getting to know my students and providing a safe, comfortable environment for all is one of my top priorities as an educator,” said Conaway. Infographic made by Josh Garcia.